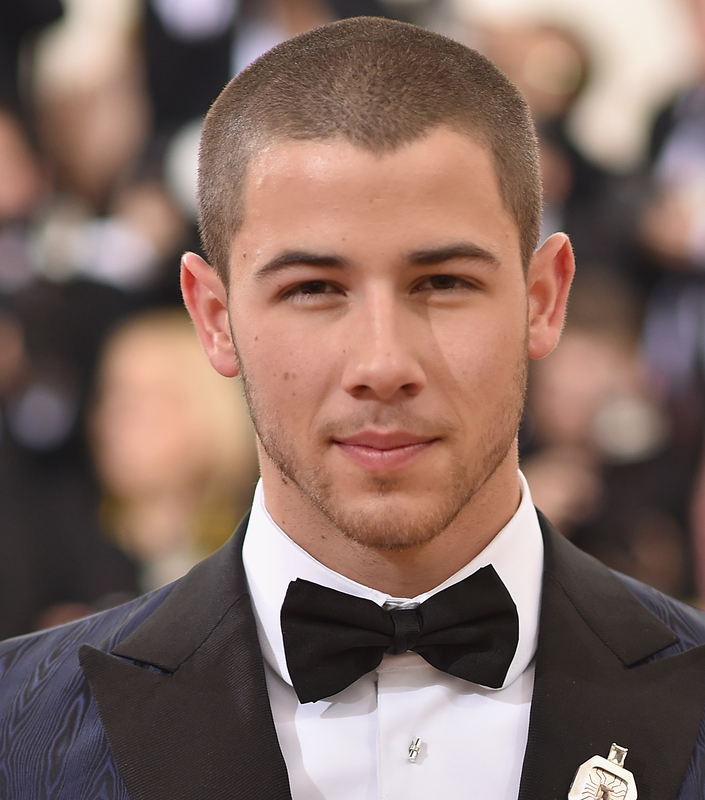 In the past few years, Nick Jonas has been making plenty of exciting career moves. From his solo music after his family band, the Jonas Brothers, dissolved in 2013, to showing his impressive acting chops on shows like Kingdom and Scream Queens, it's clear that Jonas is coming into his own as an artist and actor and managing his adult career on his own terms. But lately Jonas has faced criticism that he's "gay baiting" or somehow using his sexuality to win LGBT fans, strategically picking his career moves around this. In a recent interview with Out magazine, Jonas addressed the "gay baiting" claims head on, explaining that he has nothing but support for his gay fans. During the interview Jonas expressed sadness at accusations that he's "gay baiting," He said, "It’s not the majority, but a large handful have a negative opinion for whatever reason, and I think it’s really quite sad." Jonas' own sexuality has been called into question before, as he's been accused of "pretending to be queer himself" as a way to bait fans from the gay community, but I think his desire to play gay characters and stand by the LGBT community despite negative comments should be applauded, as there was certainly a time in the past when a straight male celebrity simply wouldn't take on those roles or the stance that Jonas has. "There’s a thing of recognizing that you have gay fans, as a male artist. I was speaking to some of my very close gay friends as I was making the record, and they told me I should really make the effort to embrace my gay audience as it’s bigger than I might think. There should be more of it. There should be more heterosexual male artists who are comfortable to attract a gay audience and do it in a way that’s authentic. With me, it comes from a very genuine and loving place." "Intolerance in general to me is heartbreaking. I am happy and willing and ready to do all I can to help break down walls because at this point in time, it’s just unacceptable. [Celebrities] are given a platform to talk about things that are relevant to us and important to us and I think it’s one of those things where we really have to be conscientious of what is important to say." Jonas has done shows in gay clubs and played two gay characters in recent TV roles, both of which are things he now finds himself defending against the "gay baiting" accusations. He told Entertainment Tonight in September 2015 that he felt "honored to play some really strong gay characters," hoping to spread this message to his LGBT fans: "I think it’s all about being true to who you are." He also added, "Whatever I can do for the community is just a blessing for me." Aside from speaking out about his support of the community, he's used his power as a musician to actually show his support. Recently, he and Demi Lovato cancelled a tour date in North Carolina after the state passed the House Bill 2 (HB2), better known as the "bathroom bill," which blocks counties from protecting against LGBT discrimination, including the barring of transgender citizens from using bathrooms matching their gender identity. "Demi and I had a lot of conversations together and with the team about the best way to handle it. We are very aware of our strong LGBT community fan base and the support they've given us and the support we want to give them. And this was a time where I feel like we said we have to make a bold statement, put our foot down and stand firm in something we believe in." Others have taken notice to his support of the LGBT community, as well. Transgender model Carmen Carrera praised Jonas to Out magazine, saying. "I think he’s very humble and an amazing ally. We need more people like him in the music industry — someone who’s willing to come out and say that he supports the entire LGBT community and embraces fans from all walks of life." Frankly, it feels like the world needs more artists (and, well, people in general) like Jonas who are unafraid to stand up for what they believe in, even if it means making risky financial decisions like canceling a concert, in order to support marginalized groups, like the LGBT community. There was a time not terribly long ago when a straight male musician wouldn't appear in a gay club, or the kiss of death to a straight male actor's career would have been to play a gay character. I, for one, believe that Jonas is doing his part to ensure things never return to that reality, regardless of whatever his sexual orientation may be. Jonas may have been lauded as a child star for his almost conservative image, but it's his actions as an adult that are truly admirable. Bravo, sir.